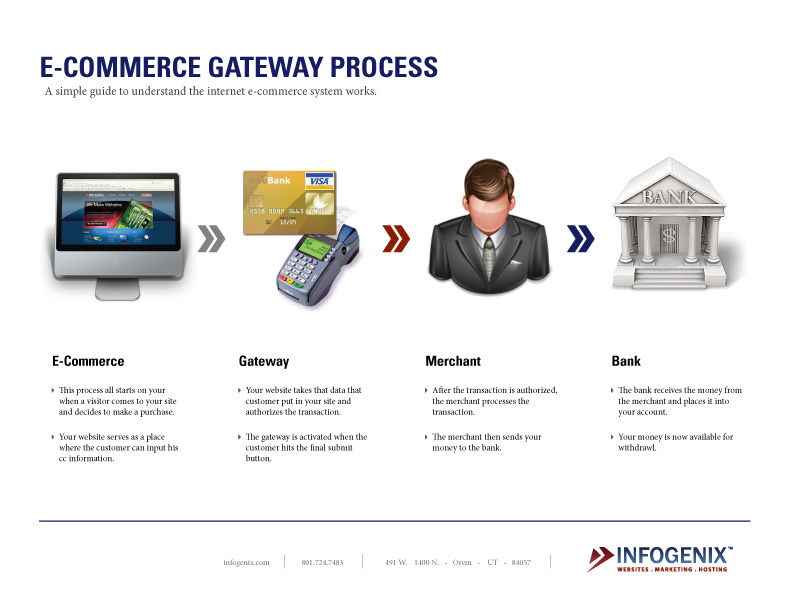 If you are planning on getting an ecommerce website setup soon, and were wondering how the whole gateway process works, below is an illustration of how payment gateways work and the process. To be able to process transactions online, you will need to have a merchant gateway set up. The gateway is like a virtual credit card machine that process credit cards online. The gateway then authorizes the card transaction and processes it through a merchant. Some popular merchant gateways are Authorize.net, ECHO, etc. After the transaction is processed, the merchant gateway sends the money to your bank. After about 24 hours, the money will show in your bank account. Setting up a gateway account is easy. There is just a form we have our clients fill out, and we take care of the rest. We integrate the system into your site and set it up to communicate with your bank. This is certainly a really cool way to make everything formed. Just what ended up being the final price?